Ever since the result of the Brexit Referendum, Spain has been keen to express its intention to continue extending a sincere welcome to British expats and second-home owners in Spain. This intention became reality on 28 February last with the announcement by the Spanish Prime Minister Pedro Sanchez that a Royal Degree was being passed to bring in a range of legal measures that would apply in Spain for British citizens living here in the event that Britain finally leaves the European Union without a deal. The measures are extraordinary not only in their contents but by the very fact that Spain was one of the very first countries in the European Union to actually put such fall back measures in place. This underlines the fact that Spain is determined to continue attracting British people wishing to live in Spain. The legislation also gives firm reassurances to people who have made Spain their home by setting out clearly how residency rights can be maintained post Brexit, and by providing for health care entitlements going into the future. While other countries are only beginning to address whether or not British can even drive in their countries with UK driving licenses post Brexit in a no deal scenario, Spain has acted quickly to provide for exact and clear regulations that British people can follow in this case. In the case that the Withdrawal Agreement is finally passed, UK driving licenses will remain fully effective in Spain under the same conditions that presently apply throughout the transition period. It is important to remember that a new resident in Spain is always obliged to transfer their license to a Spanish one within six months of moving to Spain. In the case that there is no deal, the Brexit specific Spanish legislation states that UK valid and current driving licenses issued by the British authorities will entitle their holders to drive in Spain for a period of nine months following the UK’s withdrawal from the EU. The Spanish effort to provide assurances to British in Spain has been complemented by the British Embassy in Spain which has been working hard to reach out to British citizens in Spain by holding a series of events over the last number of months. Such an event recently took place in Valencia when Simon Manley, the British Ambassador to Spain addressed a gathering of Valencia based British residents. The venue was packed to capacity. Those in attendance were informed directly by not only the British Government officials who addressed the gathering but also by Juan Carlos Fulgencio, who in his capacity as the “Delegado del Gobierno” in Valencia, is the maximum authority representing the central Spanish government in the Valencia Community. It followed that the information provided was absolutely direct and current. The main message that the Delegado del Gobierno repeatedly stressed over and over again to the eagerly listening crowd was “tranquilo, tranquilo, tranquilo” – that the Valencian welcome was sincere and long lasting and that issues facing British expats in Valencia due to Brexit, be it hard or soft, would be resolved practically and comprehensively. In addition, there are a number of able professionals in the Valencia area that can assist you with any questions that you may have concerning Brexit related Spanish issues. One such firm is SWAN Partners which is featured in the British Embassy lawyers list. This firm’s English speaking lawyers can advise on a wide range of Spanish – Brexit related matters from property purchases, company and commercial issues, employment and remote working issues, residency issues, tax issues as well as providing good advice on the practical aspects of living in Spain. Here at Found Valencia Property our dedication to our clients and to professionalism within the property sector in Valencia has been recognized in International Press and TV exposure in America and Europe. Be it a soft or hard Brexit, our multilingual team will work hard to find you your ideal Valencia property with over 500 direct listings and construction services in the immediate Valencia areas of Spain, and will remain as your support as you ease into your life in Spain well into the future. Testimonials openly available. Found Valencia is a privately owned, award-winning real estate agency situated in Valencia Spain. My wife and I have retired and we have owned a second home in Spain for the past 15 years. We have been coming to Spain for up to 6 months a year for periods up to 3 months at a time. Question 1: Will the maximum stay of 90 days within any 180 day period rule apply to us after Brexit (as applies to other non-EU nationals) or will we be able to continue our present movement pattern which does not have this restriction? I have not seen anything anywhere which addresses this issue, which must affect a lot of second home owners. Question 2: Will we have to get medical insurance in the future, rather than rely on our EHIC cards? 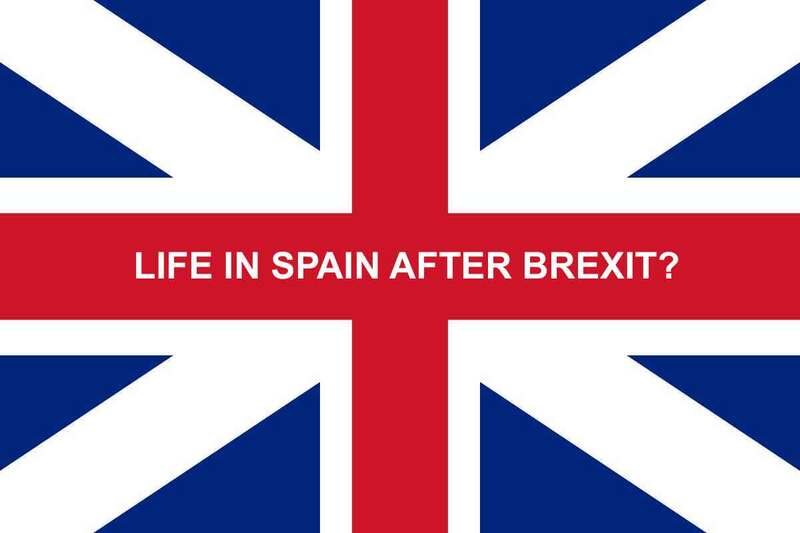 Question 3: If we wish to stay longer than 6 Months within any particular year (and pay Spanish tax), would this be possible as is our right prior to Brexit? Question 4: Is there anything we can do now to keep our present freedom of movement rights? I don’t have an answer for you, just another set of questions. We also own a home in Spain, and our plan was to move over in next couple of years and become self-employed as we are not retirement age. But with Brexit mess we don’t know how this will affect us.